The Cleveland Browns return to action today feeling about as good as any 1-1 team in the NFL can. The Browns are fresh off their first win in a home opener in 10 years after defeating New Orleans last weekend thanks to a timely play from linebacker Karlos Dansby and a game-winning drive from quarterback Brian Hoyer. After heading into halftime of the Pittsburgh game down by 24 points, the Browns have looked relatively good over their last six quarters of play. So what could possibly go wrong today? Oh, yeah, they are facing the Baltimore Ravens. As much as the focus has been on the struggles the Browns have had over the years with the Steelers, the picture isn’t much better when they face the Ravens as the Browns are 1-11 against Baltimore since Joe Flacco took over as starting quarterback for the Ravens. Of course, that lone win came the last time the two teams met, as the Browns beat the Ravens in Week 9 of last season. That broke a streak of five consecutive losses at home to Baltimore and was the Browns last win before beating the Saints last week. If the Browns can beat Baltimore with Jason Campbell at quarterback, and Willis McGahee and Fozzy Whittaker at running back, then certainly they have a chance today. Right? Even though it is only Week 3, today marks a big opportunity for the Browns. With the bye week coming next weekend, the Browns can head into the next two weeks riding a two-game winning streak and carrying all kinds of momentum, or they can spend the next two weeks hearing from a fan base that wants to believe this year is different, but isn’t totally convinced it will be just yet. The Ravens actually haven’t been hurt by the suspension of running back Ray Rice since Rice isn’t any good. They haven’t missed him because Pierce and Forsett have helped the Ravens rush for 251 in their first two games, good enough to rank 6th in the AFC. The Browns, on the other hand, are giving up 150.5 rushing yards per game, which puts them near the bottom of the league (26th in the rankings, to be exact). “It was more by design,” Pettine said earlier this week. “We were in some smaller groupings and some lighter-spacing defenses more to encourage the run. Sometimes when you go against those elite quarterbacks, you have to have that mentality a little bit that you understand you’re going to concede some rushing yards, but in the long term, the clock’s moving, you’re shortening the game. I think they ended up with 10 possessions for the game, which is below the NFL average. Baltimore presents an opportunity for the Browns to dip into their depth on the defensive line, so if they want to control the Ravens running game, we should be seeing more of Phil Taylor over Armonty Bryant today. Brian Hoyer hasn’t thrown an interception since the Minnesota game almost a year ago, a stretch the covers 132 pass attempts. He currently has the fifth-longest streak in franchise history and the second-longest active streak in the NFL. It can’t be understated enough just how important it is that Hoyer doesn’t turn the ball over. Too many times over the years we’ve all watched the Browns be their own worst enemy on offense. While this year’s squad is improved, and is just one of four teams that hasn’t turned the ball over this season, the offense is still a work in progress so maximizing each offensive possession is important – especially as they will be facing a Ravens team that has only given up one touchdown in its first two games. The Browns looked better against the pass last week as they held the Saints to about 90 yards under their average number of pass yards. Jimmy Graham had a big day against the Browns, but they also held Marques Colston without a catch, the first time he did not have a reception in 87 games. After struggling in his debut against Pittsburgh, rookie Justin Gilbert had a solid game against the Saints, allowing just four catches for 29 yards and totaling seven tackles. The Browns will need another effort like that this week as they face Steve Smith, who looks to still have something in the tank, and Torrey Smith, who in six career games against the Browns has 25 receptions for 376 yards and a pair of touchdowns. “We know there’s room for improvement (with Haden and Gilbert),” Pettine said earlier this week (h/t Dawgs by Nature). “But those guys come into work every day and put the time in the meeting room, on the practice field, and it will pay dividends. Everybody just looks at the two plays Joe gave up to Jimmy Graham, but outside of that, he actually played really well. It was just those two plays where he was in good coverage but just couldn’t make a play against an elite receiver. I don’t want to have that overreaction: ‘Hey, he got beat twice.’ When you look at the game in its entirety, it was a solid performance for him. But he needs to make those plays, especially when it’s crunch time. That being said, the Browns are still giving up 450 yards of offense per game, ranking them 31st in the league, so while things are improving there is still work to be done. Are we starting to believe in this team? Yes we are. Are we ready, after last week’s win against New Orleans, to believe that the Browns can win two games in a row for the first time since early last season? Maybe. Do we think the Browns will pull off the win this week against Baltimore, sending the fans into a two-week frenzy of division titles and playoff talk? Not yet. The Browns are better, as they’ve shown over their past six quarters of play. But they still have a long way to go, and they have to show they can be consistent before we can fully believe it. 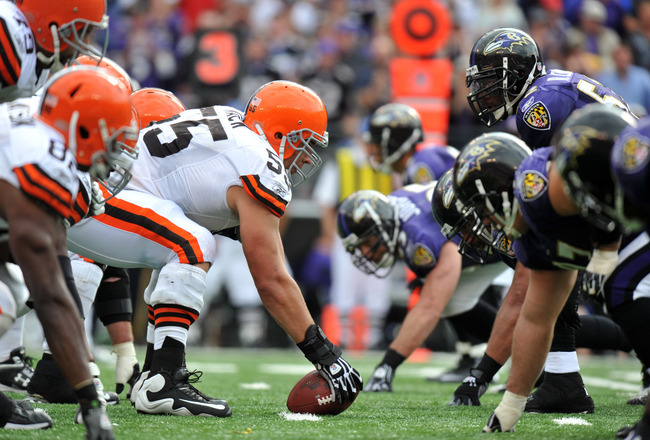 Look for the Browns to play well but for the Ravens to win on a late field goal. While that may cool the enthusiasm a bit, the Browns finally appear to be heading in the right direction, so we’ll just look at this as a bit of a detour on that journey.